Vanuatu offers a fast-track option for foreigners to gain citizenship that can take as little as a month to complete. 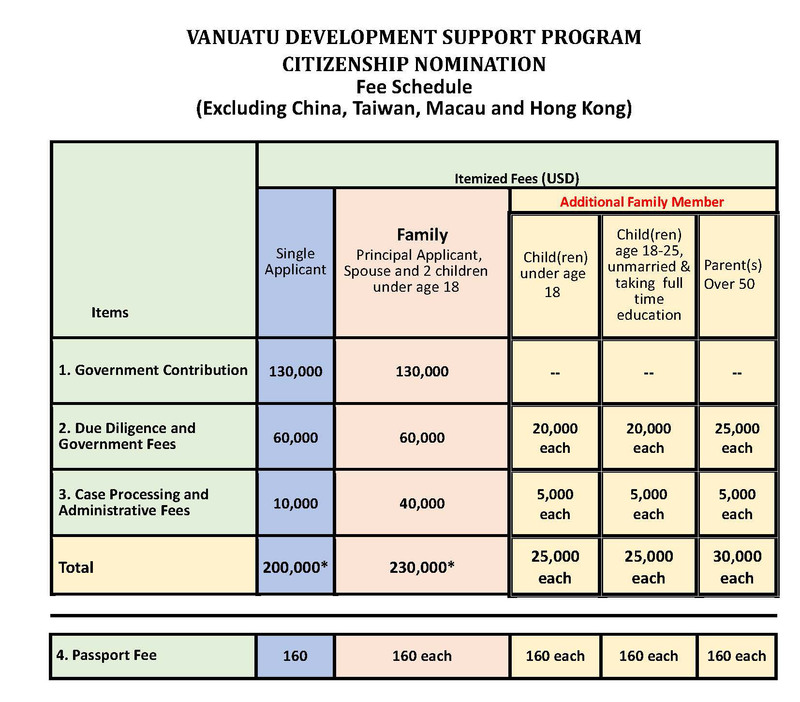 As of 2014, that option can be used to gain Vanuatu dual citizenship as well as exclusive Vanuatu citizenship. The fast-track option requires the applicant to invest and pay other fees and charges that total about US$200,000 for a single person and US$230,00 for a family of four. Included in that sum is in Vanuatu businesses, along with payment of various fees and other charges. Vanuatu offers a high degree of financial freedom, with almost no taxation. Income, Estate, and Capital Gains are all tax-free in Vanuatu and there aren’t any corporate taxes either. Once you meet Vanuatu passport requirements, you may use your Vanuatu passport to travel without visas to many countries – including much of the European Union and Russia. 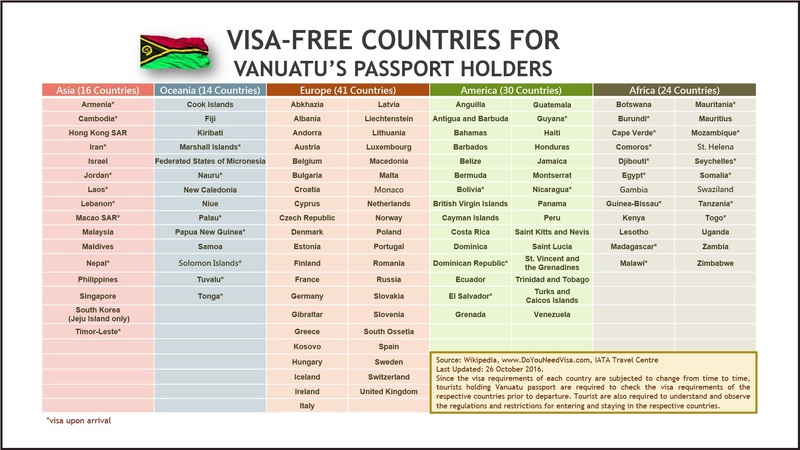 All told, the Vanuatu passport gets you access to almost 120 countries. In addition to the financial freedom you’ll find in Vanuatu, there is also a sophisticated Financial Services Center which has been in business for almost 50 years. This center can help you explore business registration, offshore banking, and support your other business and financial endeavors. While the tax rates continue to be very welcoming, it’s important to know that Vanuatu has entered into Tax Information Exchange Agreements with many nations, its banking system will comply with civil and criminal investigations from those countries. If Vanuatu citizenship is not your goal or if you’re willing to wait, Vanuatu residency requirements are fairly easy to meet. Any income of US$2,250 or more will allow candidates to apply for a resident visa. Business visas are also available, but the Vanuatu visa requirements for Business visas are more complex. You can stay in the nation for only 3 months (90 days) in the course of one year, and you must show that you’re working with a Vanuatu business, conducting negotiations, or that you’re exploring business options in the republic. 50% upon receiving clearance letter from the Vanuatu FIU and signature of contract. Pre-approval by authorities before signing the contract and making first payment. Vanuatu is an established South-Pacific country, where you will find a safe and hospitable little paradise, excellent restaurants and beautiful climate Vanuatu has the highest Happy Planet Index score outside of the Americas. People living in Vanuatu have higher wellbeing than those living in Japan, while Vanuatu’s Ecological Footprint is just a quarter of the size of Japan’s. 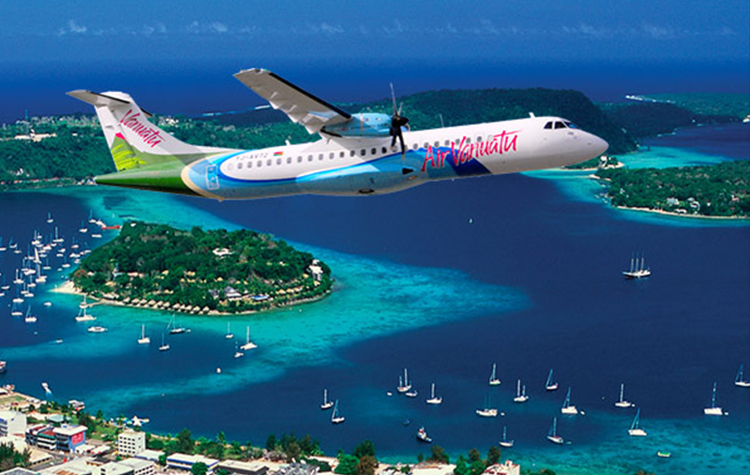 Vanuatu is known for being the best low-profile tax-haven and offshore business center on the planet. There are no income taxes, withholding taxes, capital gains taxes, gift, death, and estate or succession duties applying to companies, trusts or individuals. Vanuatu is a member of the Commonwealth and its citizens are considered Commonwealth citizens granting them additional rights in the United Kingdom and certain Commonwealth countries. Processing time for the Vanuatu nationality and passport is by far the shortest at 1-2 months! Processing can be done remotely with no need to travel or reside in Vanuatu. You can add your family members and dependents parents to your application including spouse parents. Commissioner for Oath can travel to your home country for Oath of allegiance ceremony and delivery of Citizenship Certificate and passport. Who can apply for Vanuatu Citizenship? Any person with no criminal record can apply for Vanuatu Citizenship. A person renouncing his citizenship. Note: People giving up their citizenship, must apply for Vanuatu Citizenship before renouncing their original nationality.